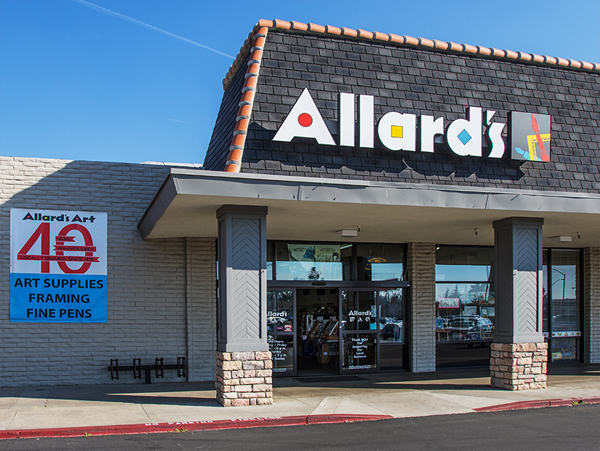 Allard's Art is a local, family-owned store selling Art & Drafting Supplies and Equipment, Custom Picture Framing, Fine Writing Instruments, Science Fair & Presentation Supplies, Sign Supplies, Children's Art Supplies, Art "How to" & Coloring Books, and so much more! In 1975, our family purchased Art Johnson Artist Materials from Art and Roxie Johnson, and moved our art store from the Tower District to Clinton & Blackstone. At that time, we changed the name to Allard's. Quickly outgrowing this location, in 1983 we moved to Blackstone & Griffith, and in 2005 to our current location at the southeast corner of Blackstone & Barstow. We genuinely care about each person who walks through our door, and desire to put the right products into their hands each and every time they shop with us. Our desire is to build long-term relationships with our Customers. We are known for our friendly & knowledgeable staff, and our wide selection of products. We are happy to take requests for items that are not in stock. If you don't see what you are looking for, please ask us!